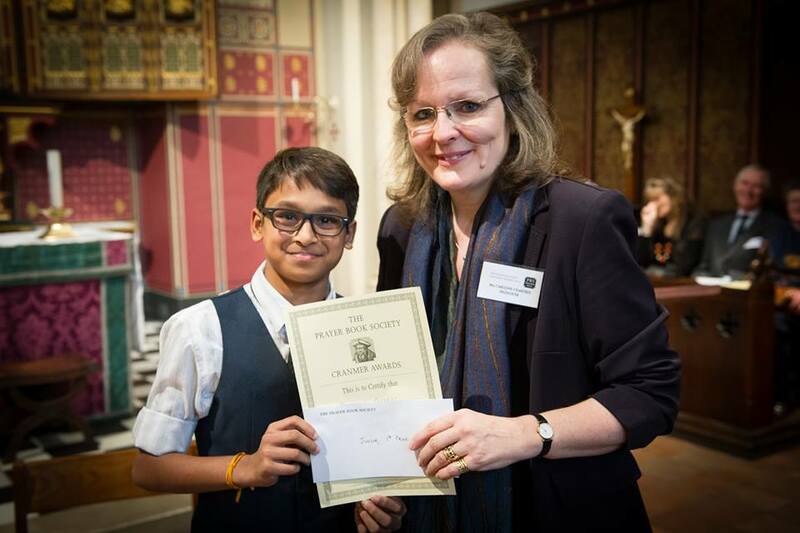 Omkaar Divekar, representing the Rochester Diocese branch of the Prayer Book Society, was the winner of the junior section at the national final of the “Cranmer Awards” in London on 6 March. The final, which attracted competitors from all over England, was held at St Matthew’s Church, Great Peter Street. The competition, in which young people from 11 to 18 years of age recite from the Book of Common Prayer, is organised by the Prayer Book Society and heats are run by the diocesan branches. Omkaar, a pupil at the Judd Grammar School, had qualified for the final by winning the Rochester heat last November. The standard of performance at the finals was as impressive as ever. Omkaar, in the final for the third year running, gave a beautifully modulated rendition of the Gospel for the Sunday after Christmas followed by the Magnificat to gain the judges’ highest marks. Omkaar received his prize from Caroline Chartres, Commissioning Editor for Bloomsbury Publishing. His recitation can be heard on the Prayer Book Society’s web-site – pbs.org.uk on the Competitions page, where information about the competition can also be found.